Description: Benevolent societies had a major impact on the social fabric of African American communities. This session explores several groups that impacted black families in multiple states. 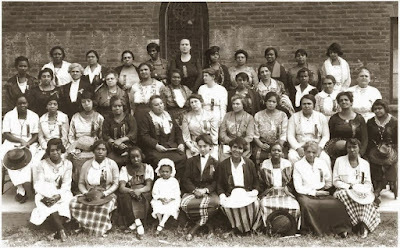 Most of the organizations of the late 19th century and 20th century are long gone, but their stories lie buried in cemeteries throughout the nation and a rich community history can be discovered by knowing how to recognize them in African American cemeteries throughout the nation. 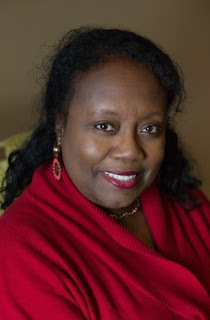 Angela Walton-Raji is nationally known as an author, genealogist, podcaster and blogger. She hosts the weekly African Roots Podcast devoted to African American genealogy news, methods and events, and is also one of the founding members of AfriGeneas.com, the oldest online website community for African American genealogy. Ms. Walton-Raji hosts 3 genealogy blogs, and is moderator of an ongoing genealogy message board devoted to Native American genealogy. She also authored the book “Black Indian Genealogy Research” first published in 1993 and revised in 2007 This book is the first and only book that addresses the documentation of African-Americans with ties to Native Americans within the family structure. She is also active on social media from Facebook to Twitter and hosts a YouTube channel, African Roots TV. For over a decade she was a featured speaker at a number of Smithsonian events, and she is the only genealogist in the nation to present regular genealogy lectures at the National Museum of the American Indian in both Washington DC, and New York facilities. She was awarded the honor of presenting a special series of genealogy lectures to coincide with the Smithsonian Exhibition IndiVisible that has been traveling throughout the nation. Ms. Walton-Raji holds a Bachelor of Arts in Spanish from St. Louis University, and a Master of Education from Antioch University. She is an alumnus of the National Institute of Genealogical Research, and Samford Genealogy Institute, and has served as a faculty member at both Samford Institute of Genealogy and Historical Research, and the Midwest African American Genealogy Institute. Recording and Handout Available to ISGS Members: For ISGS members who cannot attend the live webinar on February 9th, a recording of the webinar, along with the handout, will be made available in the Members Section of the ISGS website at http://ilgensoc.org/members.php. If you're not already a member of ISGS, visit Join ISGS! at http://ilgensoc.org/cpage.php?pt=8 for more information. Please direct any questions to the ISGS Education Committee at isgseducation@ilgensoc.org. The 2016 ISGS Webinar Series is Sponsored by FamilySearch (http://familysearch.org).